Simply firing the city worker involved in this car accident is not enough for the new mayor. The worker in question, Dwight Washington, is accused of driving with more than twice the legal limit of alcohol in his system after allegedly plowing his city vehicle into a crowd of people in the Gold Coast neighborhood, injuring eight (8). Emanuel would like to see specific steps to help prevent this type of accident happening again. Random drug and alcohol tests are required only for city employees who hold commercial drivers licenses. Because Washington was a laborer assigned to empty garbage cans and collect stray debris, he was not subject to that requirement. Laborers are tested only after getting into accidents on the job. Washington was tested after a job-related accident in March 2010 that resulted in property damage, but his test for drugs and alcohol “came back negative,” said Matt Smith, a spokesman for the Streets and Sanitation Department. “Random drug [and alcohol] testing for laborers would have to be negotiated with the union. The city cannot implement the tests unilaterally,” Smith said in an e-mail response to the Chicago Sun-Times. It will be interesting to see what types of recommendations that Commissioner Byrne will have for the mayor and the city counsel. As mentioned above, it may not be see easy to require stricter testing without negotiating that change through its’ contract with the union. And that change may not take place until the current contract expires and a new contract is negotiated. If you or someone you love has been injured in a Chicago car accident or Chicago truck accident, then call Chicago car accident attorney, Aaron Bryant, for a free consultation at 312-588-3384 or go to the firm website at www.blgchicago.com. Is Transportation Secretary LaHood A Hipster? U.S. Transportation Secretary was asked this question in an interview with theThe Huffington Post this week, and shockingly, he said he did not know what that term meant. That’s a good answer Ray. Regardless, the secretary lauded major metropolitan cities such as Chicago for their efforts to increase bicycle safety. He stated that his department would be looking into measures to encourage automobile drivers to observe better safety standards when it came to bicyclists cohabiting the roadways. Chicago, under Mayor Daley, was on the forefront of increased bicycle use around the city with separate lanes being created on almost every major street. Incoming mayor, Rahm Emanual, plans to follow through with what Daley started. Emanuel has pledged to create a “world-class bike network” and has hired Gabe Klein, former head of Washington D.C.’s Department of Transportation, to fill that role in the Windy City. Further, this blog reported a few weeks back that Illinois is finally recognizing dooring accident as actual motor vehicle accidents that require police and parties fill out mandatory Illinois Crash Reports. Ray LaHood is probably not a hipster, but it is good to see that his administration is taking bicylce safety seriously and are looking for ways to decrease bicycle accidents. If you or someone you know has been involved in a Chicago bicycle accident or Chicago car accident, then call Chicago accident attorney, Aaron Bryant, for a free consultation at 312-588-3384 or go to the firm website at www.blgchicago.com. The Chicago Tribune reported this week that there are additional plans to help reduce traffic gridlock on the Eisenhower. While the Eisenhower was completely repaved over the last year, which was much needed, but there remain bottleneck tissues in and around the Chicago loop. To help alleviate these problems, IDOT is performing studies to help reduce traffic and eventually reduce the number of Chicago car accidents. The possible solutions being examined include widening the Eisenhower to four lanes in each direction for the entire length of the highway. The expansion would make room for “managed lanes” handling car-poolers, express buses or drivers willing to pay tolls to commute more quickly during rush hours, according to IDOT planners. IDOT is also apparently working with the CTA and Pace to consider expanding rail lines and bus access, which would hopefully alleviate some of the traffic. The problem at this point appears to be a lack of funding. IDOT is the Illinois Tollway to develop concepts for possible toll lanes that would be priced with a sliding scale of fees based on the time of day and traffic loads, the officials added. The Eisenhower also has the highest car crash rate among area expressways, about 2.2 accidents per 1 million vehicles per mile in the area between Kostner Avenue and Interstate Highway 88, according to an IDOT study. About 6,000 accidents occurred from 2006 through 2008, IDOT said. Of particular concern are crash hot spots at the 25th Avenue, Harlem Avenue and Austin Avenue interchanges, officials said. Everyone who drives in and around Chicago has been frustrated with traffic on 290 and how it effects 90/94 when entering and leaving the loop. Let’s hope there is some creative thinking going on at IDOT that will help improve the area, which will hopefully lead to less car accidents. If you or someone you know has been involved in a Chicago car accident or Chicago truck accident, then call Chicago car accident attorney, Aaron Bryant, for a free consultation at 312-588-3384 or go to the firm website at www.blgchicago.com. The Naperville Sun recently reported that the ‘Directed Traffic Safety Initiative’ – – which is in its’ sixth year – – will probably break a record for the number of traffic tickets issued. The initiative, which includes the Naperville, Aurora, Bartlett, Hoffman Estates, Joliet, Plainfield, Shorewood, Streamwood, Warrenville and West Chicago police departments, is aimed at promoting traffic safety, which in turn, will hopefully lead to fewer car accidents. This year the initiative posted police officers along Route 59 where Naperville police issued 182 tickets. That tally is likely to double and perhaps more than triple once final statistics are compiled and submitted by the other 14 police agencies that participated in the annual initiative. Naperville Police Sgt., Lee Martin, was somewhat discouraged with the number of tickets as they had let the public know about the initiative through various media outlets. “We’d actually like for the totals to have been lower,” said Martin, who supervises his department’s traffic unit. We were hoping people would pay more attention than this. Despite our best efforts to warn people ahead of time and during the event … it looks like it might be a record day for enforcement totals,” Martin said. Martin said Naperville police issued 93 seat belt-related citations; 47 speeding tickets, including one to a motorist driving 83 mph in a 45 mph zone; 15 citations to motorists driving without insurance; and four to unlicensed drivers. The remaining 23 tickets were issued for a variety of other infractions, he said. Remember to try your best to obey the speed limit and wear your seat belt so that you will not only avoid costly traffic tickets, but could also avoid potentially dangerous car accidents. 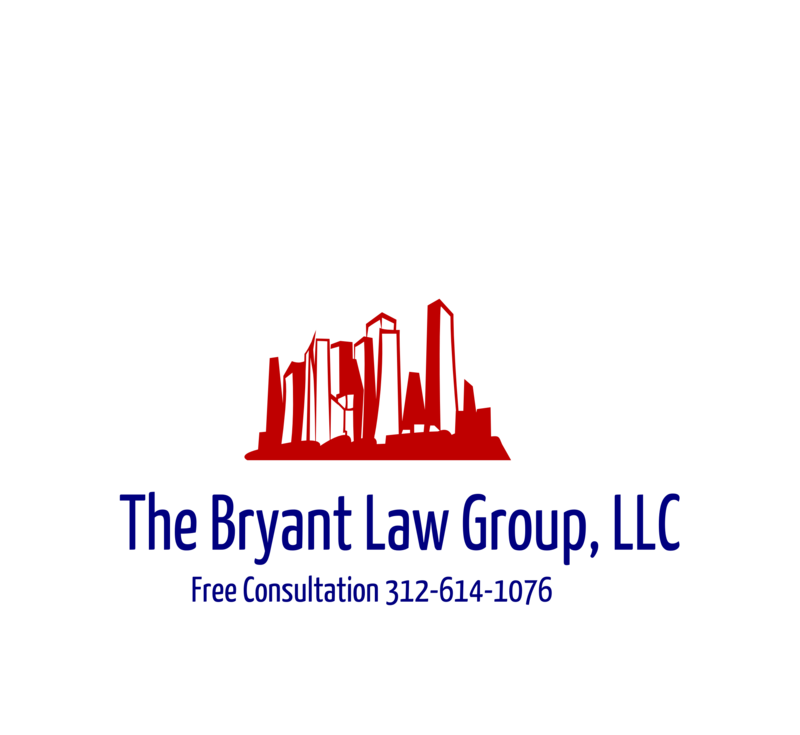 If you or someone you know has been involved in a Chicago car accident or Chicago truck accident, then call Chicago accident attorney, Aaron J. Bryant, for a free consultation at 312-588-3384 or go to the firm website at www.blgchicago.com. In interesting new study was released by the Royal College of Surgeons in Ireland in the Archives of Surgery are more likely to make mistakes after an evening or night of drinking. To measure the degree of that impairment, the researchers invited eight surgeons and 16 students out for a night on the town. Half the students and all of the experts were encouraged to down as much booze as they wanted until they felt drunk. The rest of the students weren’t allowed to touch any alcohol, but still went out for dinner. The next day, the merrymakers, hung-over or not, went to the lab to perform a type of camera-guided surgery that uses a few small incisions instead of one big one — so-called laparoscopy. The surgery was done on a virtual reality system, not a real person. That turned out to be fortunate, because both the surgeons and those students who had been drunk did worse than when they were tested before the party. At 9 AM, hung-over students made about 19 errors on average, while those who hadn’t been drinking made only eight. This difference hadn’t been seen before the night out, and faded over the day. This is an interesting revelation as typically the medical profession does not regulate or restrict surgeons from drinking the day or night before surgery. It will be interesting to see if the medical profession takes a stricter approach to drinking the day or night before performing surgery. If you or someone you know has a Chicago medical negligence or Chicago medical malpractice case to review, then call Chicago personal injury attorney, Aaron J. Bryant, for a free legal consulation at 312-588-3384 or go to the firm website at www.blgchicago.com. Currently it is against the law to text and drive in the city of Chicago and throughout the state of Illinois. Despite these recent law changes, Chicago aldermen are looking to strengthen local texting and driving ordinances. The Chicago Tribune recently reported that Chicago alderman, Ed Burke, has proposed legislation that would mandate cell phones sold in Chicago come equipped with a way for parents to disable texting features for their teenagers. The proposal aims to prevent auto accidents caused by teens who text while they drive. Specifically the feature would require all cell phones sold in the City to offer a special feature allowing parents to block their teenaged children from texting while driving. The legislation currently proposes that those who sell phone without the blocking feature would face fines up to $1,000. This is a very strict proposal, but, no doubt, sends a message to the Chicago community that the city counsel takes this issue seriously. I think there are a lot of questions that would need to be answered before this goes into law such as how do you regulate manufacturers, distributors and sellers. And, more specifically, how much would that cost. Regardless, this is a positive step towards helping make our roads safer. If you or someone you know has been involved in a Chicago car accident or Chicago truck accident, then call Chicago personal injury attorney, Aaron J. Bryant, for a free consultation at 312-588-3384 or go to the firm website at www.blgchicago.com.